Magic Weighted Blanket Review in "Weighted Journal"
Choosing the best possible product to help you sleep better is now a huge hassle with so many companies emerging on the market. Well, look no further – the Magic Blanket is definitely worth your consideration. Please see our full review, comparison to others and, above all, is it really worth buying? The Original Bean Blanket Company is the maker of The Magic Blanket. It’s the first commercially-designed weighted comforter ever made in 1998. 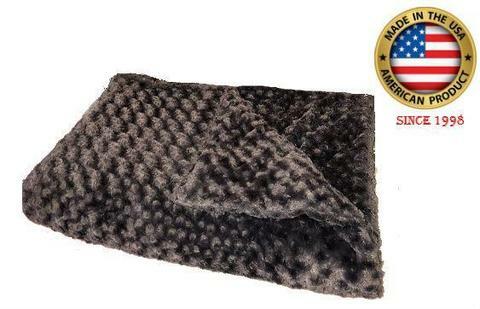 The Magic Blanket has been on the market for more than two decades and it is proven a solid competitor for the title “best product” as we can see here. I had the chance to try one for a couple of weeks for my insomnia and chronic fatigue. All I can say is the results is quite amazing. The blanket is not that heavy with just a slight pressure, which is actually very nice. It’s well-built and easy to clean. Read on to know more about the Magic, how effective it is, and my review verdict! Magic Blanket Review – Is Really Worth Buying? Weighted blankets have been popular for over the past years. 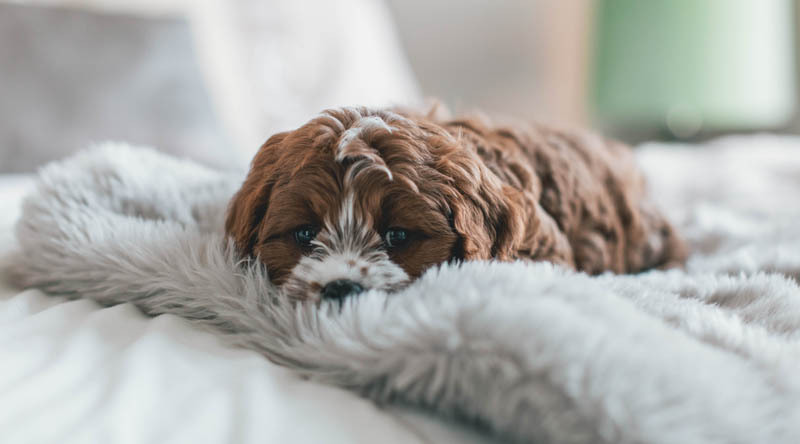 They do not only provide comfort, but they also relieve certain symptoms and various conditions, including anxiety, panic attacks, insomnia, restless leg syndrome, autism, and attention deficit hyperactivity disorder (ADHD), among others. In the past, the attention on them is not that enough to gain market popularity. However, their impact on the lives of kids and adults suffering from anxiety has been tremendous; many companies emerged to produce the various weighted products commercially. There is an underlying science behind them too, making them effective to relieve many conditions. Deep touch pressure (DTP) has been proven by many studies to play a pivotal role in the relief of anxiety, insomnia, and other sleeping problems. It’s a gentle and distributed pressure applied to the body, mimicing a hug to help alleviate stress and help you sleep better. DPT applies pressure to the body to increase the production and release of serotonin, a feel-good hormone. It’s a chemical that helps promote relaxation. Many conditions have been associated with low levels of serotonin, including anxiety, autism, insomnia, attention deficit hyperactivity disorder (ADHD), post-traumatic stress disorder (PTSD), depression, and aggression, among others. The Magic Blanket I received was the 16-pound model. It’s perfect for my weight and it feels comfortable to use. In fact, you don’t feel hard to move at all since the weight and pressure is evenly distributed. If you are wondering how to make sure you order the right size please take a look at the size chart below. The Magic Blanket’s weight should be about 10 percent of your current body weight. For children, since they grow fast, they tend to outgrow their beds and comforters pretty quickly. Hence, it’s better to select the size and weight allowing six inches or more and two pounds or more in weight for growth. But, remember, that children with weighted products should be checked all the time andt they should not be left unattended. The size variations range from 16 pounds to 20 pounds, depending on your weight and height. If you’re someone who wants something colorful, you can choose a color from the nine variations Magic offers. There are also six types of cover fabrics – chenille, minky, fleece, cotton, custom, and waterproof. One of the first things I look at in a product is how well it has been built and put together. For starters, I saw how well the Magic Weighted Blanket looked since it was sewn without visible stitching, giving it a smooth and non-therapeutic look. Also, as soon as I used it I noticed how soft, calming, and comfortable it is. It’s as if it is hugging me back since the weight is evenly distributed to comfortably mold to the body. The duvet cover is meticulously sewn onto the bweighted part, so there’s no need to separate the comforter and the sheet. Plus, it’s washable with the duvet and insert in one. When I researched the Magic and the company that makes them, I learned that they made sure to use BPA-free, non-toxic, and hypoallergenic polypropylene pellets, making them safe for both kids and adults. I suffered from chronic pain and as a result, I had chronic fatigue and insomnia. In the past, I found comfort in adding weight onto my body when I sleep. I often use piles and piles of blankets just to make me sleep. The Magic Weighted Blanket was a prayer answered and I was not disappointed. It made me very sad when I had to return the sample we got from Magic. The first night was amazing since I easily fell asleep without any hassle. The weight is evenly distributed so I felt more secure and grounded. The next day, I felt refreshed, as if I had the best sleep of my life. Honestly, it was the first time that I slept that well, without pain, anxiety, and fatigue. For the past two weeks, I didn’t expect it, but the blanket is comfortable and soft that I felt at ease whenever I use it. 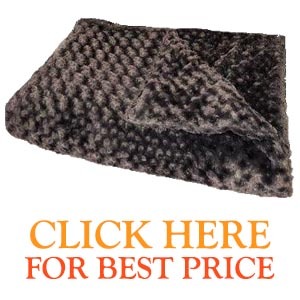 The Magic blankets have received immense attention since many people can attest to their efficacy. Aside from letting you sleep faster and better, it also produces a relaxing and calming feeling. When I feel uncomfortable and hyped because of my anxiety and insomnia, I noticed that whenever I’m under my weighted blanket, I felt secure, safe, and warm – as if I’m inside my mother’s womb. Final Words / Review Verdict – Is It Really Worth Buying? The verdict – yes, it is a very effective and premium product that comforted me during sleep. It kept me sleeping through the night without any interuptions and unwanted awakenings. The last weeks have been amazing, thanks to The Magic Blanket. So, can I recommend it? Yes, it’s one of the best comforters that provide a calming and soothing effect. It is on par with the Gravity and it even edges it here and there too. For those who are asking – is it worth the price? Yes, it’s worth every penny. The benefits of using it far outweigh the cost. You will sleep better and it will ease the symptoms of various conditions, including anxiety, depression and insomnia. I recommend this to people who have trouble sleeping, especially those who suffer from conditions such as anxiety, autism and panic attacks. It soothes the body and provides a relaxing effect, leads to a good night’ sleep. Make sure the size and weight you order are ideal for your weight and height so you can sleep soundly and comfortably. In a nutshell, it’s highly recommended! I started shopping for a blanket and realized no one was saying “Made in USA” until I read about your “Magic Blanket”. I wanted a quality product and was impressed with your history and reviews from customers so I just placed my order. If it works for me, I will definitely be ordering more for gifts!